Just a little over three months ago, Darrell Brown was promoted to Executive Vice President and Chief Claims Officer from Chief Performance Officer at Sedgwick. 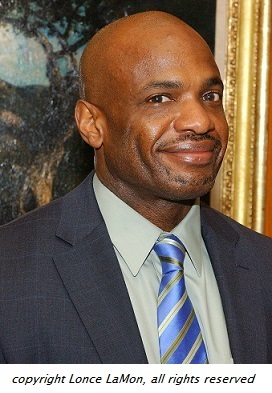 Darrell is based in Sedgwick’s Long Beach, California, office. Darrell is serving as a senior adviser in setting Sedgwick’s claims management vision, strategy, and best practices. He oversees the company’s practice groups and the Performance 360® quality program. 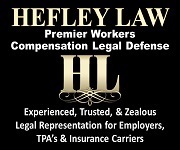 He leads the development and operation of a unit dedicated to resolution of complex claims. Darrell joined Sedgwick in the year 2001 when he was first positioned as the Operations Manager in the Sedgwick Orange, California claims office. He became the area manager the following year over the Orange, Riverside, and Long Beach claims offices. He then worked in other roles for Sedgwick, including Managing Director, up to the present. He was born in Seattle, Washington but raised in Los Angeles. He went to Palisades High School and then attended California State University at Northridge where he earned a BS degree in Business Science and Finance. 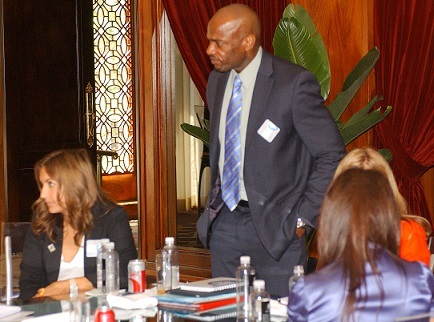 Darrell Brown stands up at a conference table where a Sedgwick meeting took place at the Los Angeles Athletic Club during the RIMS Convention in April 2013. Kimberly George, Sedgwick's Senior Healthcare Advisor, is seated at Darrell's right. copyright Lonce LaMon; all rights reserved. Darrell actually started in claims at Superior National in 1993 as a Lien Specialist and Claims Examiner. He then went to Gates McDonald in 1995 where he held positions of Senior Examiner, Claims Supervisor, and Claims Manager. Then by 2001 he was with Sedgwick. Darrell likes to work out and engage in the sports of basketball, track and field, and tennis. He’s also a foodie and loves to travel. A popular presenter at industry conferences, Darrell is also a frequent contributor to Sedgwick’s Connection blog on topics including claims management, litigation management, workers’ compensation, quality, cost drivers, regulation, and compliance.